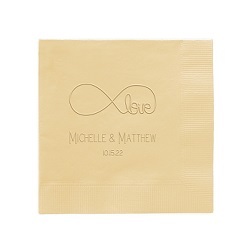 The Wedding Napkin - Foil-Pressed is perfect for your special event. 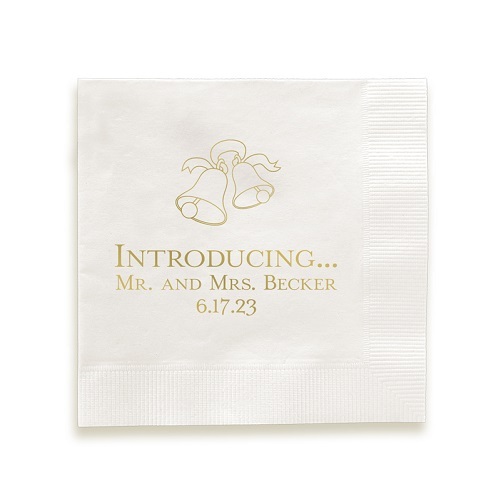 Featuring a choice between several lettering styles, artwork motifs, foil colors, and paper colors, this item also allows up to three lines of personalization. 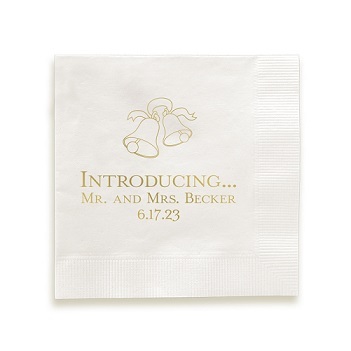 The foil color is precisely pressed onto our sturdy 3-ply paper. 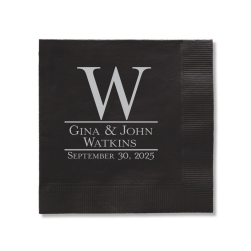 Design your Personalized Cocktail Beverage Napkin today.